A PDF copy of pages 334-335 of the book Christchurch: The Transitional City Pt IV. 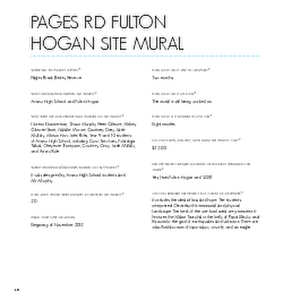 The pages document the transitional project 'Pages Rd Fulton Hogan Site Mural'. A PDF copy of pages 82-83 of the book Christchurch: The Transitional City Pt IV. 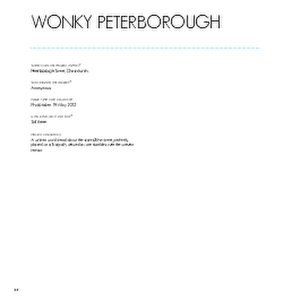 The pages document the transitional project 'Wonky Peterborough'. A PDF copy of pages 322-323 of the book Christchurch: The Transitional City Pt IV. 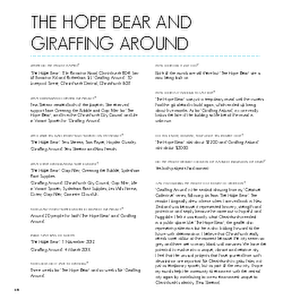 The pages document the transitional project 'The Hope Bear and Giraffing Around'. A PDF copy of pages 114-115 of the book Christchurch: The Transitional City Pt IV. The pages document the transitional project 'Aibohphobia'. Photo with permission: Christchurch Art Gallery Te Puna o Waiwhetu. Photo: John Collie. A PDF copy of pages 190-191 of the book Christchurch: The Transitional City Pt IV. 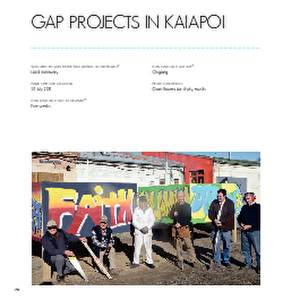 The pages document the transitional project 'Gap Projects in Kaiapoi'. 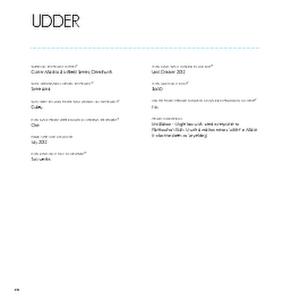 A PDF copy of pages 66-67 of the book Christchurch: The Transitional City Pt IV. 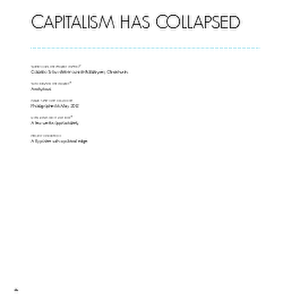 The pages document the transitional project 'Capitalism Has Collapsed'. 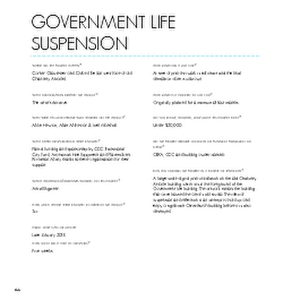 A PDF copy of pages 364-365 of the book Christchurch: The Transitional City Pt IV. 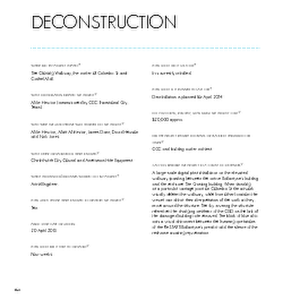 The pages document the transitional project 'Deconstruction'.